Artisans and Technicians have launched a new body in Lagos on Tuesday. During his welcoming address at the event the President EXCO ASLAT, Engineer Lawrence Ajayi said the main purpose of the event is to officially introduce to the world Association of Lagos Artisan and Technicians (ASLAT). 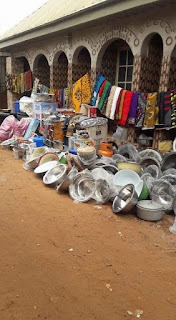 According to him; Association of Lagos Artisan and Technicians (ASLAT) is intermarriage and interbreeding of different artisans/technicians bodies and associations in Lagos State. With nine pioneer association members, ASLAT sought for registration with Corporate Affairs Commission (CAC) in August 2016 and was duly registered and awarded certificate of registration as corporate entity in Nigeria in October 2017 and currently have eleven (11) members. International Hairstylists, Barber and Body Therapists (IHSTOBAN Lagos Chapter). ‘You may have noticed that in the recent past, Artisans/Technicians bodies’ lacks clear leadership and focus and the survival of this greatly promising sector was under serious threat as a matter of that of leadership instability. That frightening situation therefore demands urgent attention; reason why ASLAT was formed and registered. Our outmost believe is that all Artisans/Technicians are craftily gifted and can contribute to progress and development of Lagos State in particular and Nigeria in general. Our primary objective is to improve the socio-economic wellbeing of all ASLAT members by increasing their income generating channels. We also intend to work hard to improve the quality of our member’s products/services by providing ongoing professional developmental training that can assist them to be millennium compliance. 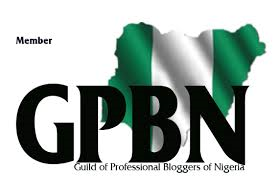 We’ll engage and interact with lawmakers with the aim of advocating for formulation of policies, laws and regulations that will benefit our members, their products and services; and thereby open new sales channels and new networks for them. Organisation development – We will assist our members in developing and implementing effective working policies. Quality Control- We’ll provide assistance in assessing ASLAT members products/service qualities and ensure that our members’ products/services are met with high standard. Training and Retraining- We’ll help in upgrading our members Artistical and Technical capabilities by engaging them in various trainings, workshops, conferences both within and outside the country with the aim of exposing them to the usage of latest/modern technology machineries and digital working tools. We’ll ensure that good quality raw materials are produced and supply and are easily accessible to our members. We’ll identify projects that are economical viable which can generate employment opportunities and income for as many Artisans/Technicians as possible. 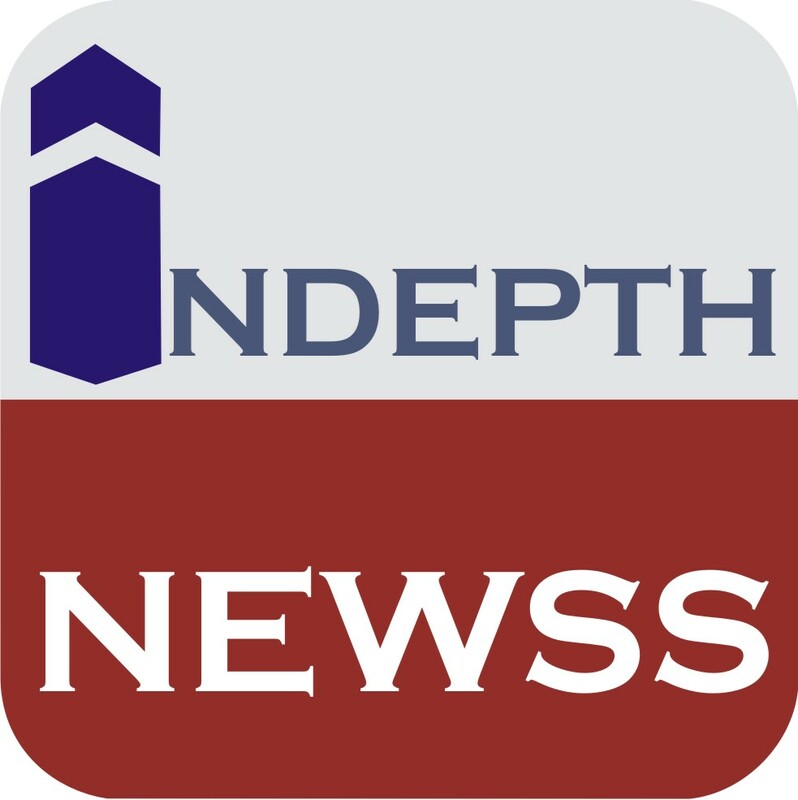 We’ll collaborate with government agencies, banks, individuals, private and international agencies to source for funds, grants and loans for the development and expansion of our members businesses. We’ll lobby the government; her agencies and parastatals to embrace, patronise and purchase ASLAT members products and services. With all the above intentions, we hope to guide all ASLAT members into becoming successful entrepreneurs. In conclusion, ladies and gentlemen, with God on our side, we will, by as much as possible rekindle the hope of ASLAT members and repose people’s confidence in local content and productions which will in turn energise the faith of a possible better and greater future for all Artisans/Technicians in particular and Lagos State in general. 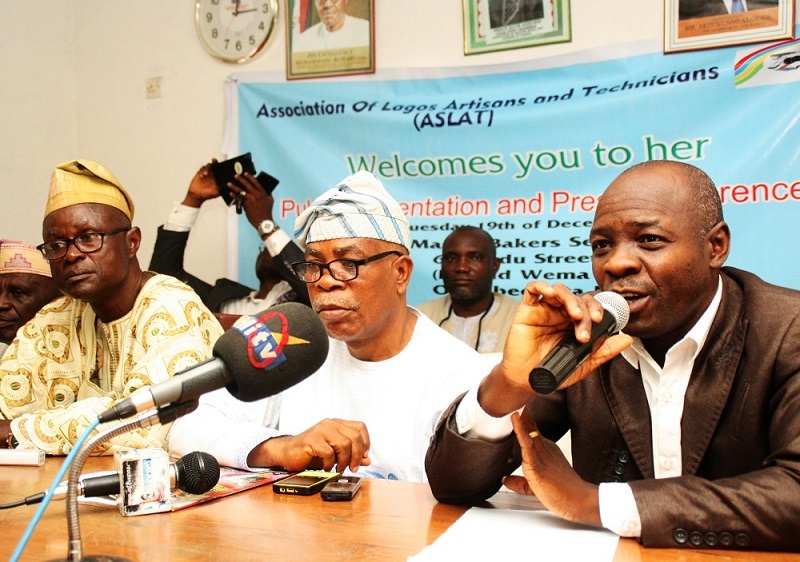 On his part, the Chairman Board of Trustee (ASLAT), Asiwaju Jacob Omonide Fayeun said the Association of Lagos Artisan and Technicians (ASLAT) is a child of necessity; born to counter the fear of disintegration of Lagos Artisans/Technicians; as there was no any clear cut policies, rules or regulations nor any purposeful leadership for the Artisans in the recent past. It was out of this concern that like-minds in the informal sector came together to form this great body. Association of Lagos Artisan and Technicians (ASLAT) is a pure professional body which membership is opened only to certified and standard Artisans/Technicians. No Tradesmen. Adding that their primary aim is to provide vibrant and purposeful leadership with result oriented programmes and polices for Lagos Artisans/Technicians. We will make sure that our members are upgraded with training’s to standard gauge so they can meet up with international level. Finally, we’ll also partner with government, organisations and individuals (both nationally and internationally) to help ASLAT members in anyways possible. This will go a long way in helping to get qualified and competent Artisans and Technicians and thereby reduced quackery and unemployment in Lagos State. Meanwhile Executive Secretary of the association Mr. Shina Akinyemi while answering questions from the journalists said the association is not out to compete with anyone but bring everybody together to reduce unemployment in Lagos, contribute to economy development of the state and move the state forward as the state continue to work for the betterment of the people. Adding that the association will work together with Lagos Assembly lawmakers in advocating and implementing laws that will phase out quackery in the state. Akinyemi also added that the association is basically for professionals’ individuals and organisations in Lagos and not for tradesmen.